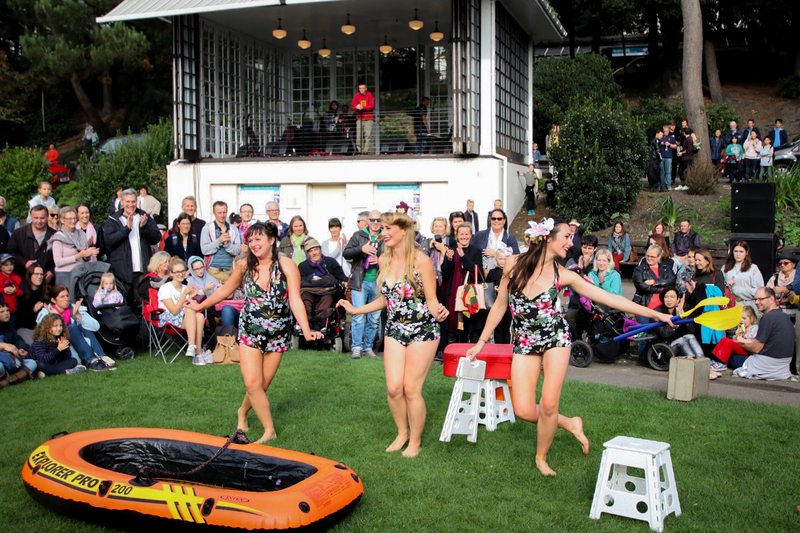 Bournemouth Arts by the Sea Festival attracts a huge number of visitors to the town centre and gardens every year. It brings a fun and varied visual arts extravaganza that stretches from comedy to music to literature. Here at AUB we already feel that strong sense of arts community, in and outside of campus. 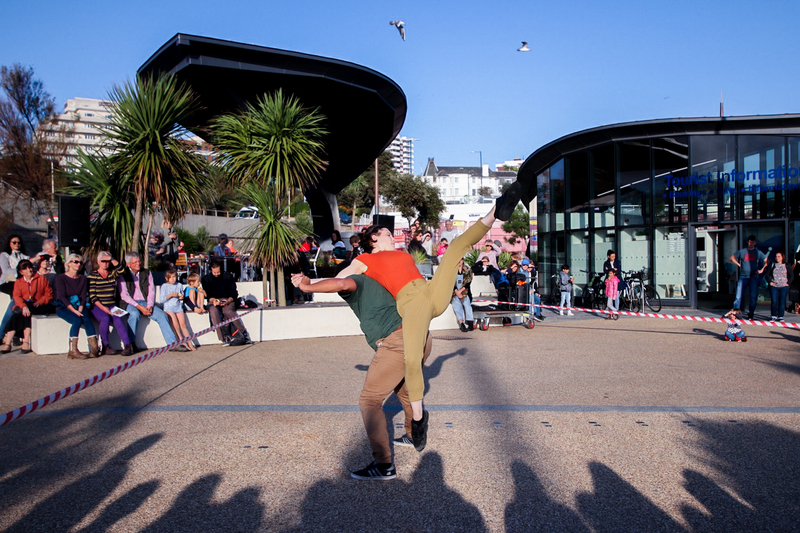 But this festival in particular aims to support artists on a local, national and international scale, acting as a showcase for Bournemouth’s creative scene. The Lower Gardens was one of the first places on my list. As I entered the gardens a faint sea of colour was making its way towards the crowds. This installation was created by Cirque Bijou whose focus is to bring audiences spectacles of contemporary street theatre and circus acts. The company managed to gather a troupe of about 50 volunteers, of all ages, to participate in parading a kaleidoscope of colourful light-up umbrellas through the heart of town. Led by a lively brass band, the umbrellas bobbed through the gardens towards the square, turning heads and engaging any audience that was available. A surprisingly simple concept like this proves that it doesn’t take much to dazzle a crowd. Instead the focus was on people and you may have seen this on many a Snapchat story. A little further down the path were even more crowd pleasers. 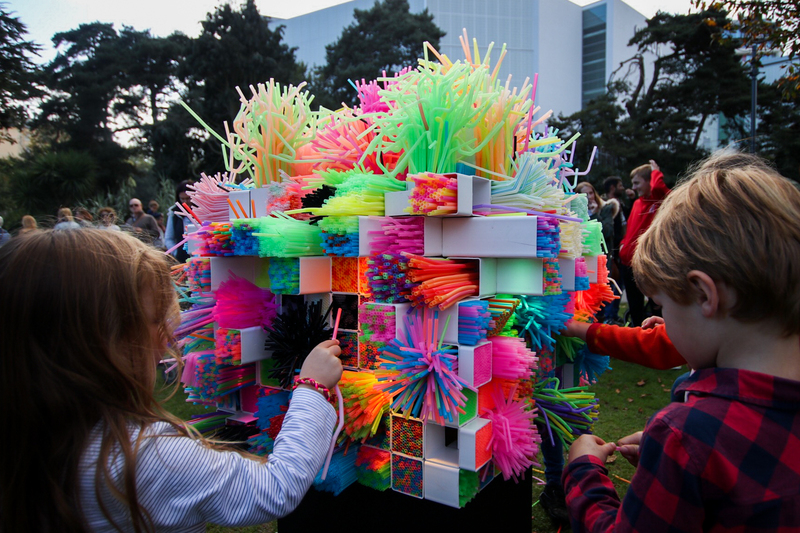 These came in the form of mostly tall and colourful installations made by a variety of artists to highlight the impact of plastic on the sea. 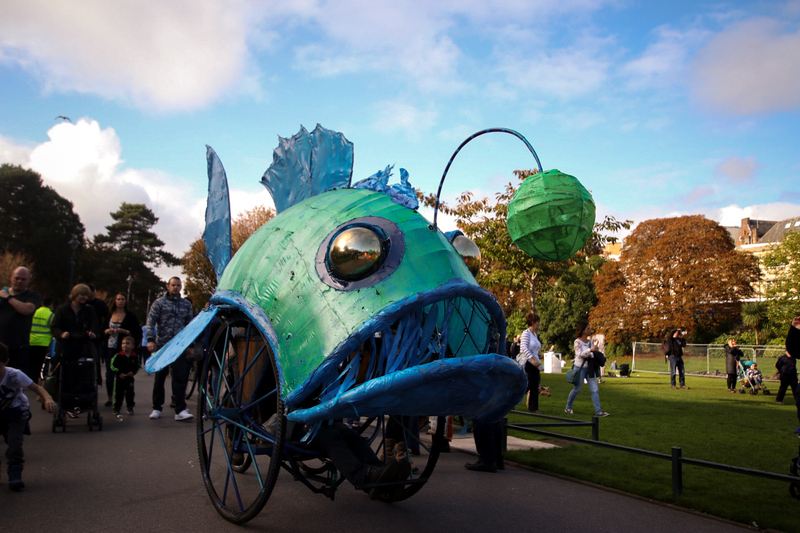 It is an ongoing debate, especially for environmentally-aware creatives, as to how we can prevent further damage to our coastlines, the effect we have on sea life and the repercussions from not looking after the sea as a whole. These pieces were created with an innovative and interactive approach towards a subject that addresses us all. A favourite seemed to be one that was decorated with straws; the overall effect made it seem like spectators were looking at a patch of coral and proved very effective. Coral is, at the moment, an endangered part of sea life but the lighting and straws managed to remind us of its importance, reinforcing the damaging effects of plastic. 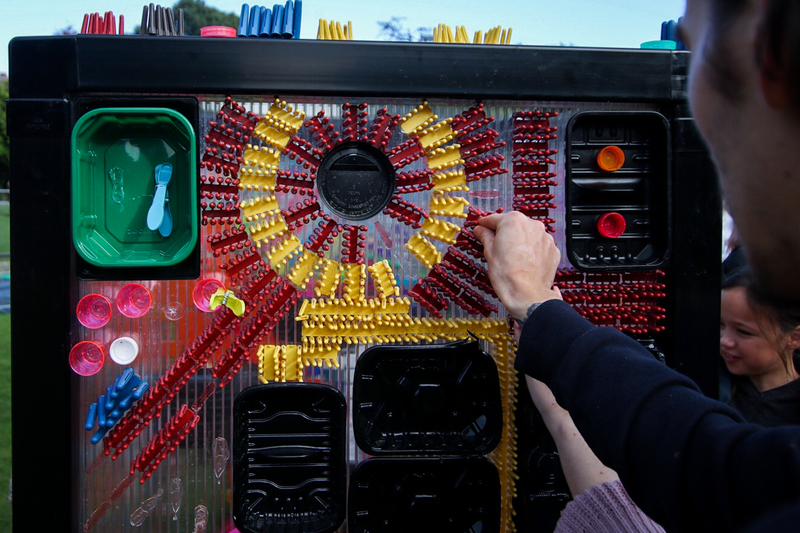 The tactile nature of the plastic was at the forefront of the collective and even though there was an obvious ‘Do Not Touch’ sign placed on this piece it didn’t deter young children from helping themselves to the straws- probably not the artist’s intention. Tactility seemed to be a theme that continued throughout the Festival and this was also adopted by installation and mobile artworks company Rag and Bone. The British company were responsible for creating their ‘Umbrella Tree’ (yes, more umbrellas). Rather than being controlled by people this time the rustic exhibit moved through a series of mechanised pistons and steam controls. It was a cleverly-made creation and the sudden bloom of umbrellas that crowned the installation didn’t go unnoticed. Some of you may have never been to this festival or may feel that you wish you had. It’s true: why would anyone want to walk around on a cold autumnal day to marvel at displays and exhibitions? It’s a hassle and a half of a bus ride in to get there in the first place! Travelling and simply just going out and seeing what is out there can make all the difference to you and your practice if you are prepared to go and look for it. What was great to see at the Festival was the element of human interaction with art being the reason why different pieces had their appeal and drew people’s attention- even if people were not aware that it was on and were just walking their dog. It gave people a chance to have closer associations with creative people. 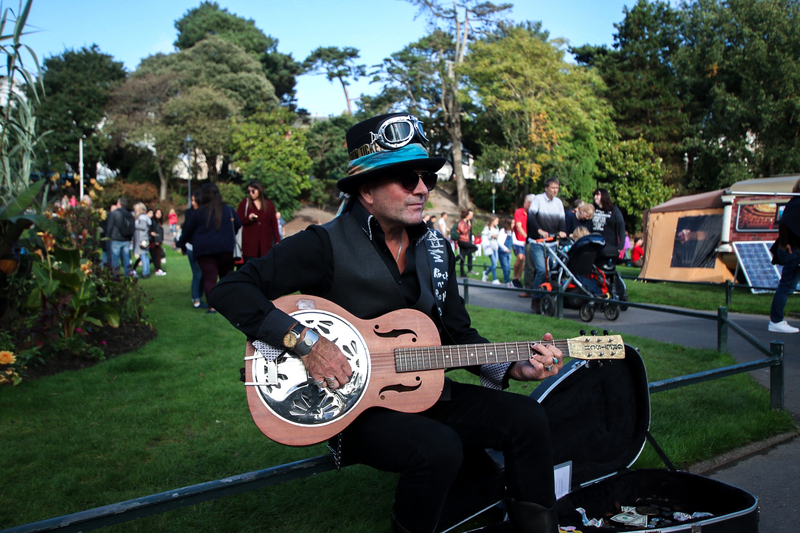 It was the Festival’s ability to combine a sense of awe and wonder alongside the need to entertain and delight that became the reason why we need to maintain a strong arts community in Bournemouth today.